Indian tours to Australia have mostly been one-way traffic — the late Jaywant Lele’s (no, not McGrath’s) famous prediction of a 3-0 drubbing just before the 1999-00 tour comes to mind. In addition to India traditionally being poor travellers, Australian teams have been the toughest opposition for most teams. However, as teams around the world got crushed by the Aussie might, India were the one team that competed — often, in the most trying circumstances — against the Aussies during their period of dominance. With Smith and Warner serving their post-Sandpapergate bans, the chatter among pundits and fans alike is that the imminent series represents a great chance for the Indian team to win their first ever Test series in Australia. It is also worth remembering that India went with high hopes in the last two away tours but eventually fell short; before each tour, Ravi Shastri boldly proclaimed that their performances would define the legacy of this Indian team, but the post-series press conferences witnessed a tetchy Virat Kohli showing his combative side to the media. While the fans have been buoyed by the sight of Indian fast bowlers dismantling the opposition, questions about the batting and team selections still linger. With this backdrop, this is a great time to recall some memorable Indian tours to Down Under. Additionally, can an analytical approach be used to draw some insights based on what was expected and how the series panned out? In this article, three tours have been chosen: 2003-04, 1991-92 and 1980-81. The 2007-08 series was memorable as well, but going further back in time presents a chance to relive one of India’s greatest wins. Now to the methodology. The strength of the two teams in the lead up to each tour is measured by 4 parameters — Batting experience (matches), batting strength, bowling experience (matches played by bowling unit) and bowling quality. Readers should note that the matches played by the bowling unit features both in the batting and bowling experience; this is because bowlers are called upon to bat much more frequently compared to batsmen rolling their arms over. Since home teams call up fewer players than away teams, the number of players has been indicated in brackets to provide additional perspective. Consequently, batting strength is calculated by summing up the batting averages of all players (weighted by matches played in the series) and adjusting it to 10 dismissals. The batting strength (the higher the better) can be thought of as the average score that the batting lineup would have made during the series. Similarly, the bowling quality is calculated by adding bowling averages weighted by with the overs bowled. This can be thought of as the quality of composite bowling lineup (the lower the better) faced by the opponent; multiplying the bowling quality by 10 can give a sense of the runs conceded per innings. For both these measures, career-to-date averages (till the start of the series) have been used, except in the cases of players who have played 10 test matches or less. Typically, new players take time to establish themselves in the side and hence their values have been fixed looking at historical trends (batsman-30, wicketkeeper/allrounder-20, tailender-10 for batting strength; bowler-35 for bowling quality). An argument could be made to account for home-away disparity (adjusting by ±5%), but in the interest of simplicity, the values have been used without further adjustment as they can be easily gauged. India faced off against a very strong Australian team, which scored ~20% more runs per innings compared to the average. Boasting of champion batsmen, Australia had the license to go all out and pummel the opposition into submission. 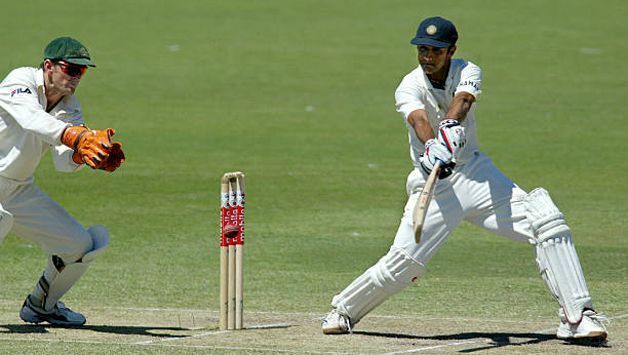 The Indian batting was just about finding its feet in overseas conditions and they delivered most memorably in Adelaide. However, this magnificent victory has to be tempered based on the bowling lineup India faced; Australia, missing McGrath and Warne, presented a rookie bowling attack (79 tests old) which was far worse than the ~30 bowling quality. Additionally, their one world-class bowler, Gillespie, bowled only 10.2 out of 72.4 overs when India chased 233 for victory at Adelaide. The two absent champion bowlers were veterans of 202 Tests and had captured wickets at 21.71 and 25.71 respectively, and their replacements weren’t simply good enough. Just one stat is enough to distill their importance to the Australian team: with either of these two bowlers in the side, Australia lost only a single match in over a decade (that too, by 12 runs). This is not to belittle Dravid’s finest hour as one can only score against the bowlers bowling against you, but one has to be mindful of the circumstances in which this fantastic result was achieved. Keeping this in mind, the standout performance on the tour was undoubtedly Ajit Agarkar’s—taking 6/41 at Adelaide against this Australian line-up. The Indians also didn’t have the bowling to win the series in Sydney, allowing Steve Waugh to hold fort for a drawn series in his farewell test, but performed admirably throughout the series given their bowling quality. On paper, this tour looks like a drubbing at the hands of a less-experienced, lesser skilled Australian team; the first two tests were certainly so, but the next two were mightily close. Trailing by 170 runs, the Aussies slipped to 114/6 before a lower-order rescue act by a dogged Allan Border took them to a draw against below-average Indian bowling. Similarly, chasing an improbable 372 to win in the 4th innings, Azhar and Prabhakar kept India in the hunt but India would lose narrowly by 38 runs (~2 lower order partnerships). Though India lost 4-0, the result could have been easily different if a few events had fallen in India’s favour. 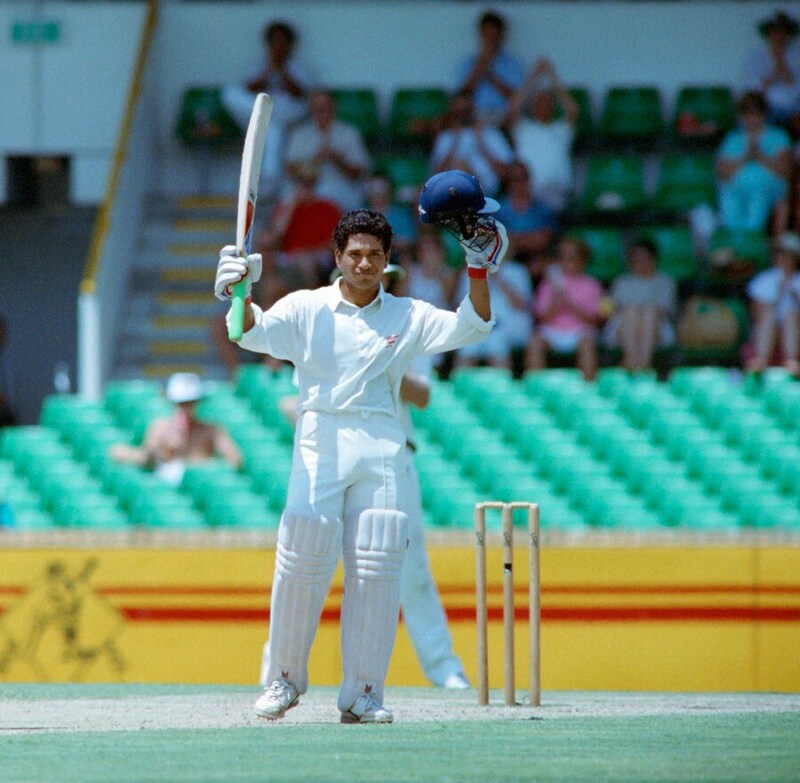 Sachin Tendulkar’s emergence as the next champion batsman was India’s biggest plus on the tour. In our opinion, this tour contains India’s finest ever away win. The two teams were evenly matched before the series, but truth be told, India’s bowling was poorer than the suggested bowling quality of ~29, for, Dilip Doshi and Shivlal Yadav were far worse in Australian conditions compared to their bowling averages of 30.37 and 26.15, which were largely bolstered by home performances. India were duly walloped in the first Test by an innings, and barely held on for a draw in the second, but it was the third Test which was the stuff of legend. 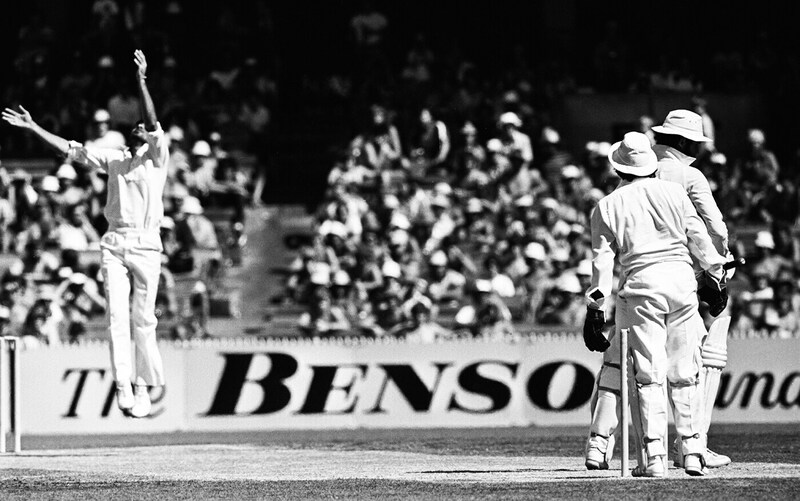 The Test, now more remembered for the Gavaskar-Lillie spat, featured a lion-hearted performance by an injured Kapil Dev. Trailing by 182 runs, India managed to bat better in the second innings and muster 324 runs to set the Aussies a target of 143. The fuse was lit by Karsan Ghavri on the fourth evening, but it was Kapil Dev who finished the Aussie demolition job by coming in to bowl in the 4th position and taking 5 wickets, skittling them out for 83. Without a doubt, this rivals the immortal 2001 Kolkata Test in terms of the difficulty of the task. Of course, a juggernaut of an Australian team — on a 16-match winning streak — halted in its tracks by an Indian team facing imminent defeat after being asked to follow on, is the stuff of a Bollywood potboiler and hence the better story. The upcoming Test series resembles the 2003-04 in some respects; here too, Australia are missing two crucial players in Warner and Smith. The two teams should be well-matched in the bowling department, but the key to the series will be based on which team can negotiate the other’s bowling and put the runs on the board to avoid defeat.